UPDATED: Thu., Aug. 3, 2017, 1:47 p.m.
Rules aimed at preventing unfettered spending by European soccer clubs will not disrupt Neymar’s world-record transfer from Spain’s Barcelona to France’s Paris-Saint Germain. Any consequences will come further down the line for Paris Saint-Germain from UEFA, the governing body overseeing the European game which has the power to ban teams from the prestigious Champions League tournament. Financial Fair Play rules launched by UEFA in 2011 mean that PSG will eventually have to show that Neymar’s transfer was funded without incurring huge losses. Barcelona has been paid 222 million euros ($262 million) just to buy the Brazilian out of his contract and Neymar will command a salary that will run to tens of millions of dollars a year. 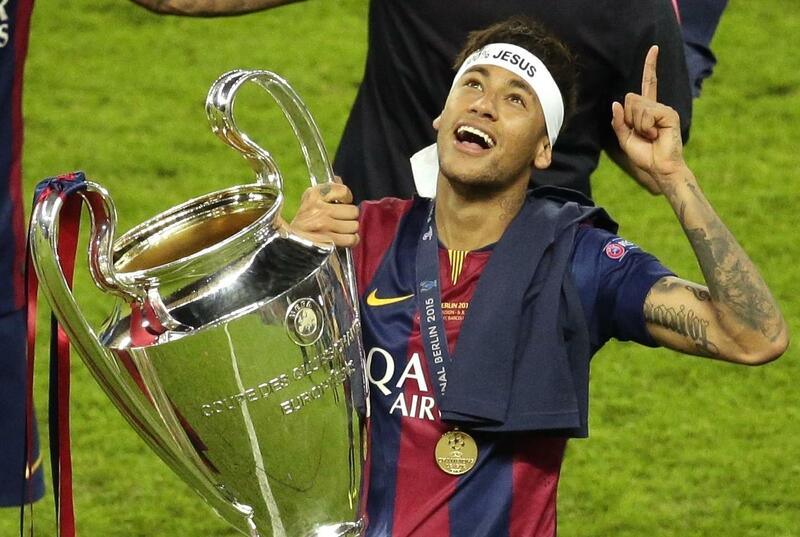 Here are some of the financial aspects of Neymar’s move to France. PSG can certainly stump up the cash to sign Neymar and add him to a galaxy of other stars, given the team’s funding from the energy-rich ruling family of Qatar. Clubs are allowed to spend heavily on acquiring players but they have to counterbalance that with legitimate sources of income, allowing them to approach break-even on their football-related business. FFP was conceived by Michel Platini after his election as UEFA president in 2007. The former France player believed that clubs who ran up huge debts in their pursuit of success were effectively cheating and risking ruin if banks or owners withdrew their support. In 2011, FFP shifted from focusing on clubs’ debts to monitoring their losses instead. The change meant that the business model Roman Abramovich initially used at Chelsea in 2003 – buy a club with potential, and then spend heavily to improve the squad and build a global brand – become a tougher proposition. During the current three-year FFP assessment period that runs through 2018, clubs can incur losses of 30 million euros. And despite Platini being ousted in disgrace from the presidency in 2015, his UEFA successor Aleksander Ceferin is still committed to deterring excessive spending. “Certainly FFP is not dead and we will, for sure, reinforce the rules going forward,” Andrea Traverso, who oversees FFP at UEFA, told The Associated Press last week. Although PSG will have paid Neymar’s buyout clause in one lump sum, it can spread the amount for accounting purposes over the length of his contract. Neymar has signed a five-year deal, so the transfer fee could be shown as a 44.4 million-euro cost in the annual accounts for the next five years. The first wave of FFP sanctions in 2014 saw PSG, along with Abu Dhabi-owned Manchester City, hit with the heaviest sanctions. PSG was handed a fine of 60 million euros (then $82 million) – that was later reduced to 20 million euros – and ordered to limit its Champions League squads to 21 players for the 2014-15 season instead of the normal 25. UEFA is on the lookout for clubs who might try to outwit its financial regulators by inflating their income through companies linked to a club’s owners. While a Qatari company could sponsor PSG, if the value of the sponsorship was deemed to exceed standard market rates UEFA would not allow it to count as legitimate income. That is what happened in 2014 when UEFA ruled that the value of the Qatar Tourism Authority sponsorship of PSG was inflated. It has been reported that part of Neymar’s PSG earnings could come via payments from the 2022 World Cup organizing committee in Qatar. But PSG and Qatar 2022 have denied that Neymar will become a World Cup ambassador and such a maneuver would be easy for UEFA’s regulators to expose. Past sanctions slapped on PSG means that UEFA will be even more watchful of any attempt to circumvent the rules. UEFA has not been in pre-emptive discussions with PSG about Neymar’s transfer, people familiar with the situation said Thursday. They spoke to The Associated Press on condition of anonymity as they were not authorized to discuss the PSG situation. The last published accounts show that PSG made a profit of more than 10 million euros in 2015-16 on a turnover of 542.4 million euros. Accounts for the last financial year are yet to be published. PSG expects Neymar’s arrival to be a boon for sponsorship deals, merchandising and jersey sales. The club expects turnover would grow by at least 30 percent on the back of the signing. Clearly irritated to see one of soccer’s biggest players leaving, the Spanish league tried to stymie Neymar’s move, claiming that PSG will be breaching FFP. “It is a clear case of `financial doping’, with the club and the state,” La Liga President Javier Tebas told Spanish newspaper AS, referring to Qatar’s ultimate ownership of PSG. Arsenal manager Arsene Wenger, whose club is owned by an American sports tycoon, shares La Liga’s reservations about a state funding a club. Published: Aug. 3, 2017, 10:50 a.m. Updated: Aug. 3, 2017, 1:47 p.m.